Charging is compatible with all phones that support wireless charging. 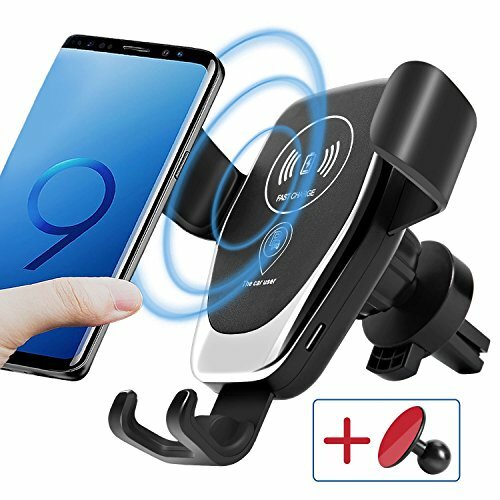 Universal Gravity Phone Holder: Compatible with 99% mobile phone models. Easily place or remove your phone with one hand, safe and convenient. When the clip at the bottom detects your phone, the side clips with silicone will securely grip your phone automatically, more stable, and not afraid of shock. 12 Month Money Back Guarantee-- We provide 12 Month Guarantee for this product, if you have any problem or unsatisfied with your order, you can contact us at any time, we will help to replace or refund your money at any time. If you have any questions about this product by Fahren, contact us by completing and submitting the form below. If you are looking for a specif part number, please include it with your message.